Will LA celebrate the “LA” way? Oh SNaaaaPPPpppp. Is this city ready?! Can we contain ourselves?!?!! I would sure hope so and not set Cop Cars on fire now but hey, nobody can control a city who has never won the Stanley Cup. The Los Angeles Kings are one game away from winning the Stanley Cup, an award the franchise has never won before. That might be why we are all jumping on this Hockey bandwagon and jumping enjoy for this highly anticipated event. The Kings are 3 games ahead of the New Jersey Devils and taking on those pesky Devils again Saturday night in the Garden State, in hopes of leaving with the Stanley Cup and returning to what will probably be a rambunctious (hopefully not violent) city. Los Angeles is known to celebrate our sport victories in mysterious ways. Unfortunately, I wasn’t old enough to see Los Doyers win the World Series in 1988 but I was old enough to watch the 10 o’clock News when the Lake Show won back to back championships in 2001, 2002, 2004, 2008, 2009, 2010. Boy that was fun. People running around like hooligans through the streets, turning over parked cars and setting them on fire. Sounds like a party. Will LA celebrate humbly or turn into a war zone? 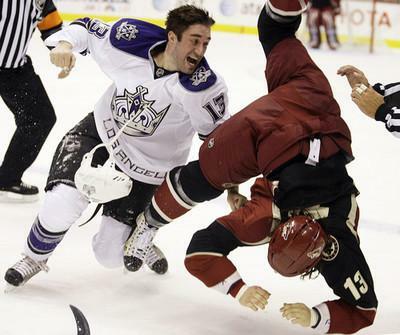 Who is to say that LA will repeat their old ways when it come to hockey. LA wasn’t a hockey city up until our team started getting really good and we all started to take notice. Since the Lake Show’s downfall and the Doyers’s baseball season just getting started, LA seems to be experiencing a sense of mourning and loss due to the fact that the city hasn’t seen a championship in two years. Two years may seem like nothing but it is a LOT considering LA’s past sports achievements and caliber. LA is a city that has no patience. We want the wins. We want the amazing. We want the bragging rights. But unlike other cities, LA has experienced a relatively consistent surge of athletic achievements (nobody counts the Yankees because they are Satan’s team). Setting Clipper Nation aside, LA’s teams have never been completely terrible and at many points in time have been very competitive, heading to the playoffs, the semi-finals and sometimes a championship. For athletes, LA is the place to be. 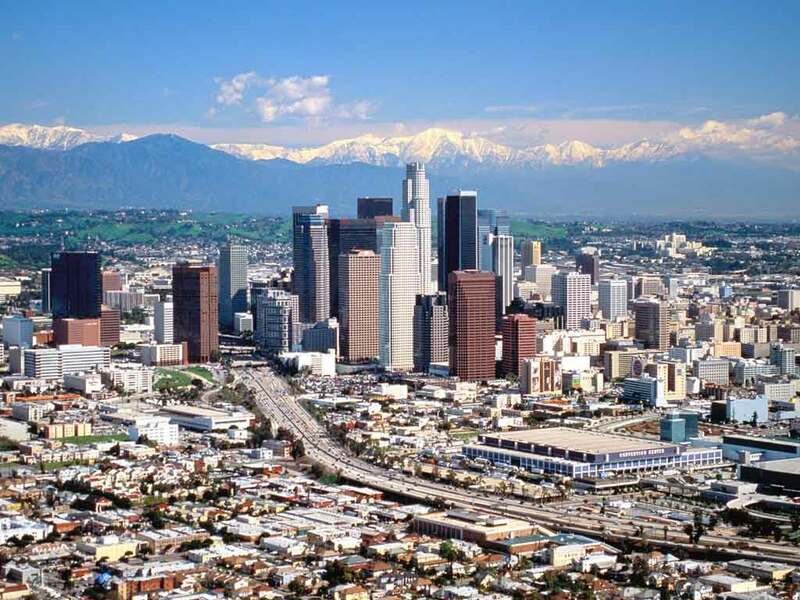 The exposure, the celebrity, the attractions, the beach…it seems like LA has it all for those who want to make it BIG. So why do we riot when we win? That’s how we roll playas. I guess LA just needs to set themselves apart from the rest. 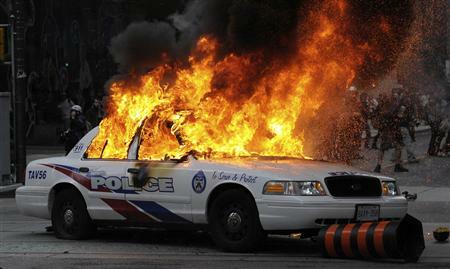 Who wants to cheer and be happy when you can set Cop Cars on fire? This city only gets one real good chance to run wild when our teams win it all, so we make the most of it. For hockey to be the next big thing is a breath of fresh air for this city. 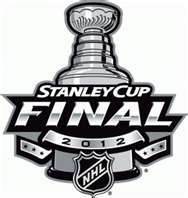 LA has never won a Stanley Cup, so the outcome can go either two ways. Maybe LA won’t celebrate the “LA” way because let’s face it, LA isn’t a hockey city and the current King fan base is mostly made up of a bunch of dedicated band-wagonners. Or maybe LA has just been waiting for a good excuse to go out and “play” in the city again since Clipper Nation and the Lake Show decided to fade into obscurity. It’s too far to tell whether Los Doyers will make it but I can tell you in all honesty that if Los Doyers DO win the World Series, there will be a riot throughout the streets of LA, guaranteed. Hop on this Bandwagon yo! Following the Lake Show’s pathetic demise to OKC along with the overhyped Clipper Nation being swept under the rug and Albert Pujols’s less than perfect batting average producing only 3 home-runs, LA sports are left in exhaustion and disappointment. There is only one thing left for us Los Angelinos to do……..Jump on the Mighty KINGS Bandwagon y’all. It’s hard not to notice the LA Kings. 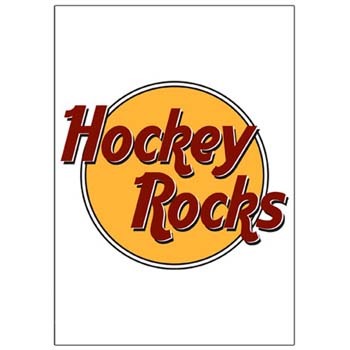 They are about the win their second playoff series against the Phoenix Coyotes (what a team name). The Kings might actually make to the Stanley FREAKING Cup. The Staples Center is in dire need of a new trophy and what better than the HOly Grail of Hockey? And who has the coolest trophy? Obviously the Stanley Cup, it’s just so regal and elegant with all its silver lining ingrained names, it just looks like it comes from royalty. Fo-shizzle. This is exciting shiz. The Kings haven’t been to the Stanley Cup final since 1993. SHOOOooooooOOOOt. No way. This is the best thing to happen to LA in a while. Seriously. With the majority of LA sports ailing, who wouldn’t jump on this LA KINGS bandwagon? The eight-seeded Kings are on an unbelievable winning 11-2 streak with eight consecutive wins in the postseason, outscoring their opponents 37-17 and winning the first three games in each of their first three series. The KINGS just have one win separating the team from heading back East to battle for the Stanley Cup. Get Out Of Town Fools! LA, let alone the west coast, hasn’t really jumped outta their seats for a hockey game since……well, maybe since ever (obvi MINUS Wayne Gretzky). LA is just not a Hockey Town. Hockey is a cold. LA never gets cold. The only ice we get is from the our coolers to put in our margaritas when we are chilling on the beach in our perpetual summer weather. But with any sports team on the brink of competing for a championship, the city jumps on board. I for one and glad to say I’m jumping on this bandwagon. Hockey is awesome. Sadly, it is a sport that needs to be experienced live. Watching it on TV does it no justice. The excitement, the speed, the fights. It’s awesome. With more on the line for the Kings, LA will become more and more decked out in white and black. Peace out Purple and Gold. Bow Down to the MIGHTY KINGS.